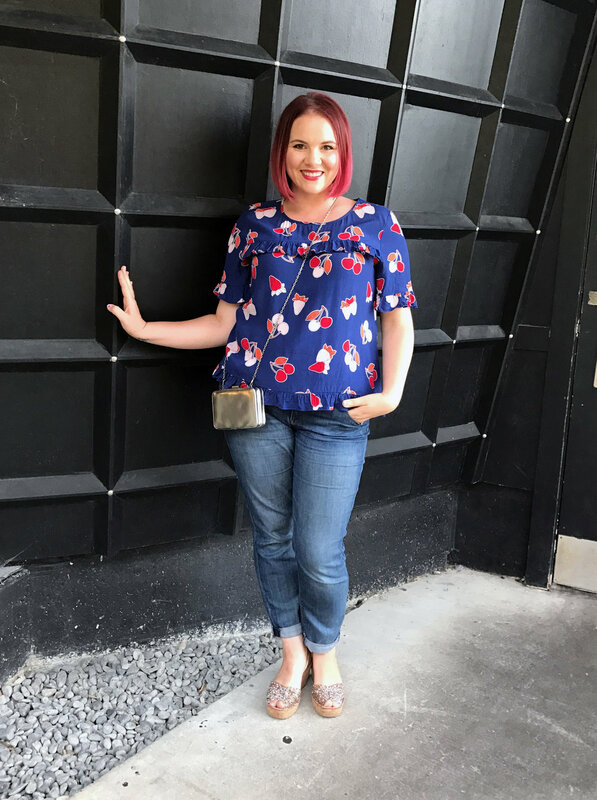 I was scrolling through Instagram recently I saw Caitlin Taylor from Chasing Cait Style Coach wearing the I AM by Andrea Moore 'Fruit Salad Top' (Sizes 8-16, $139.99 from Farmers or Andrea Moore stores nationwide, I am wearing the 16). Well in my style stalker way, I ran out and bought it - yup, bloggers do that too. It's so cute! I think people often shy away from such a bright print, because what DO you wear it with (uhhm, everything!) I've styled it three ways to give you some ideas. You can check out how Cait styled hers here. 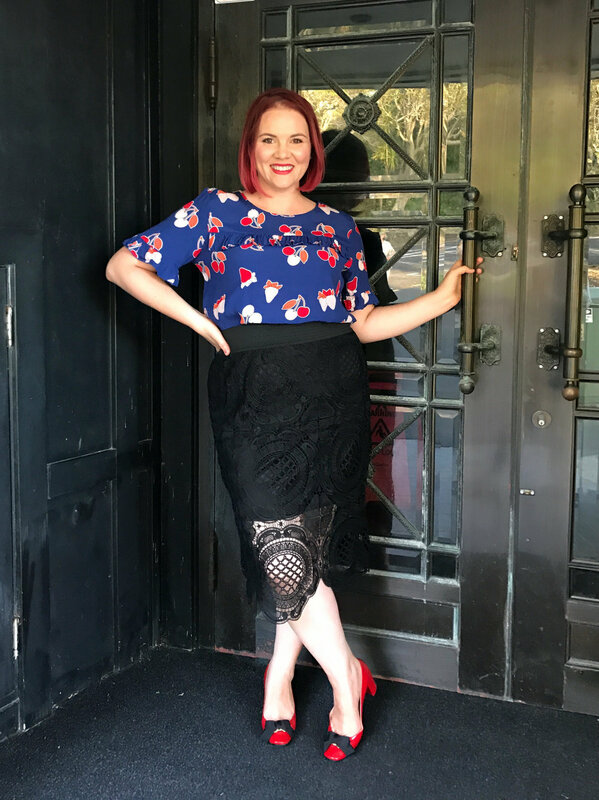 Don't be afraid to add texture to a busy print, here I have paired it with a lace pencil skirt (from Kmart last year) and with my favourite pair of jeans (also Kmart!). Jeans go with literally everything (except long dresses, I don't ever want to see that trend again!). The trick with mixed print is choosing the same/similar base colour. The royal blue of the top and the navy of my Catalyst metallic jeans, pulls the outfit together nicely. My shoes are from Kathryn Wilson. Printed Boat Neck Flounce Sleeve $86.50, Sizes 14-24 (US). Studio Strawberry Embellished blouse $100.97, Sizes 14-24 (US). Eloquii have done it again, they specialise in providing high fashion options for the plus size market. You would need to use YouShop to get your clothing here as they don't post to NZ. Read more about the shopping I recently did at Eloquii (including sizing info) here.